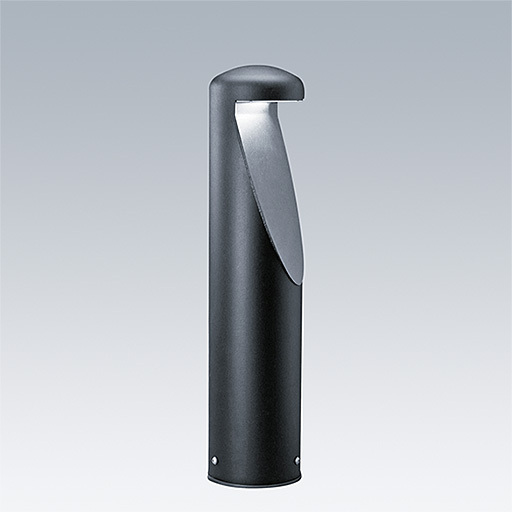 Body and bezel: low carbon steel SS1142 : SS-EN 10130 material DC01. Electro-plated zinc treatment after welding. Flange mounted. 500m root to be fixed into concrete base. 800mm root to be fixed into the ground. Access door for connection box (not provided). 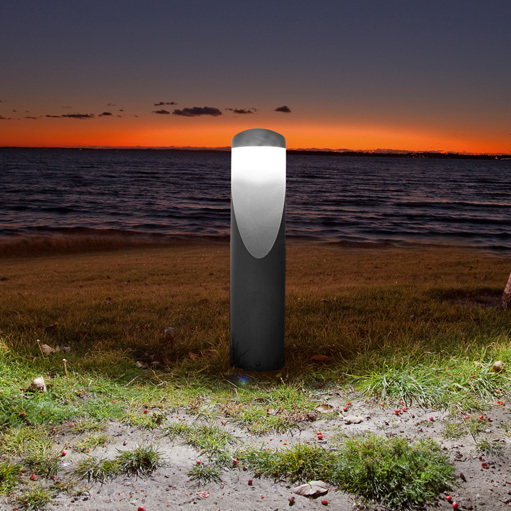 Decorative steel bollard with clear diffuser and asymmetrical light distribution.